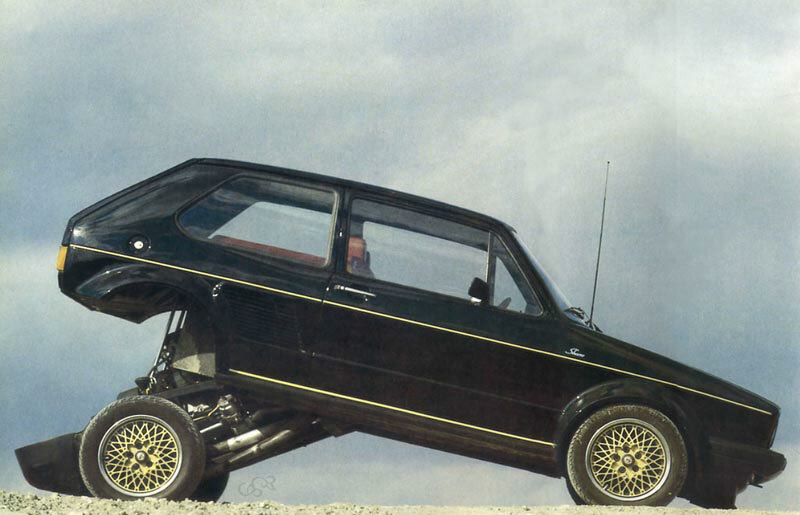 How did we arrive at this VW Golf series I in which the backside travels upwards and exhibits its engine in such an impudic way ? 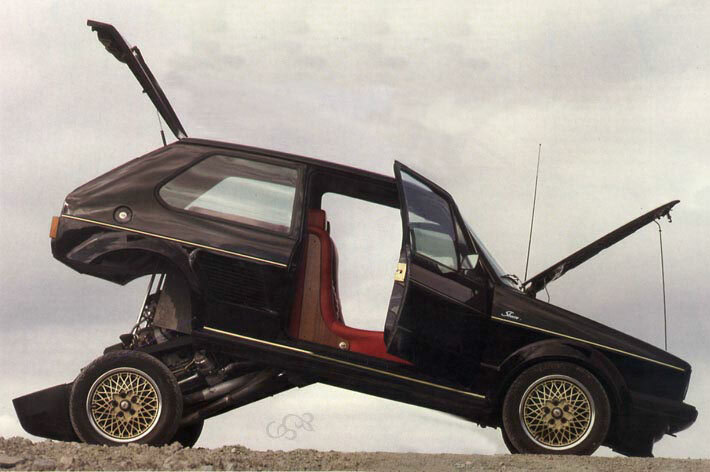 It was quite simply the goal of Franco Sbarro to satisfy a Swiss customer that made him perform such... modifications! First of all, the most visible modification and most spectacular relates to the back which is raised thanks to a hydraulic system. A few years later, Sbarro again applied this system to the Chrono 3.5. 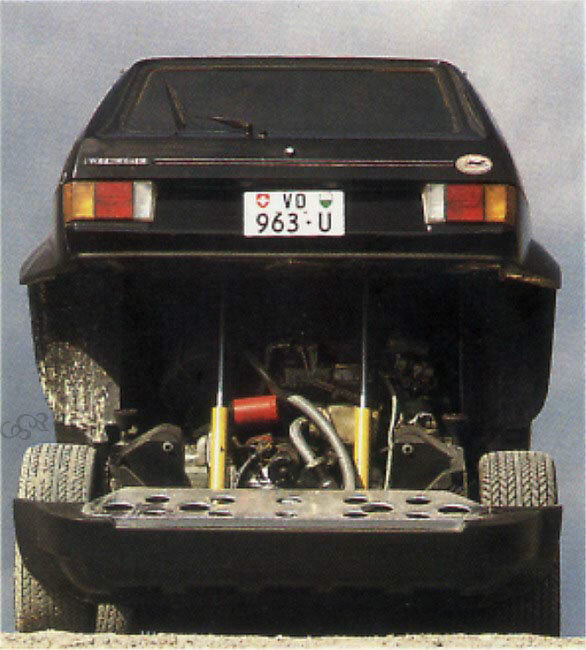 With a certain humour, Sbarro declared that this system was "very practical to work on the engine", and that "moreover, it is always pleasant to show the posterior statement with the other cars which, one on the spot, leaves when traffic lights become green"! 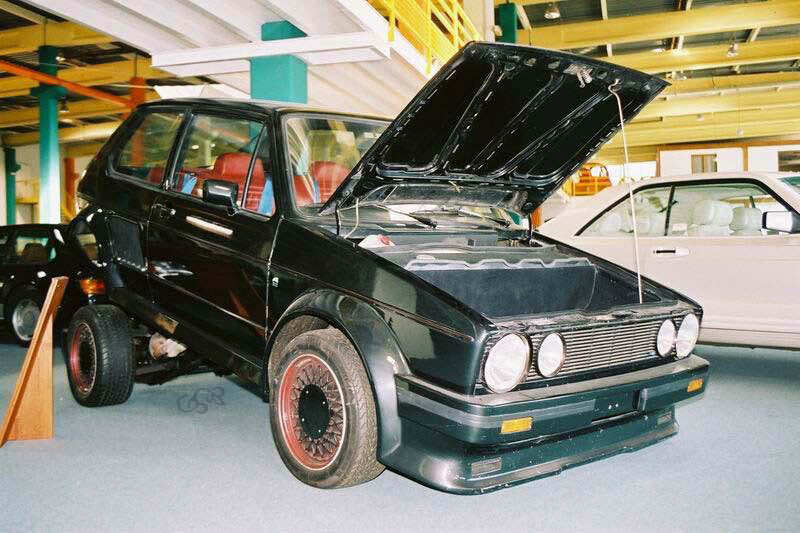 People who saw this Sbarro-Golf especially recalled this characteristic, so much so that I did not find any photograph of the car in low position! Other modifications, less visible (except when the back is raised ! ), is the replacement of the VW engine by a 330 bhp Porsche 911 turbo flat-6. The car is mid-engined: the flat-6 is in the place of the back bench. In the front, Sbarro installed a reserve fuel tank of 100 liters, to obtain an ideal weight distribution of 50:50. 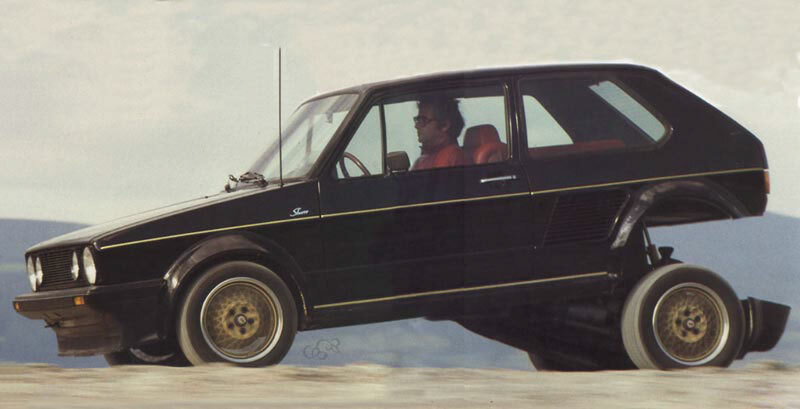 Outside, in low position, the Sbarro-Golf plays an underhanded game. The only visible modifications are the two side air intakes and broader tires. In short, a wolf in sheep's clothing!